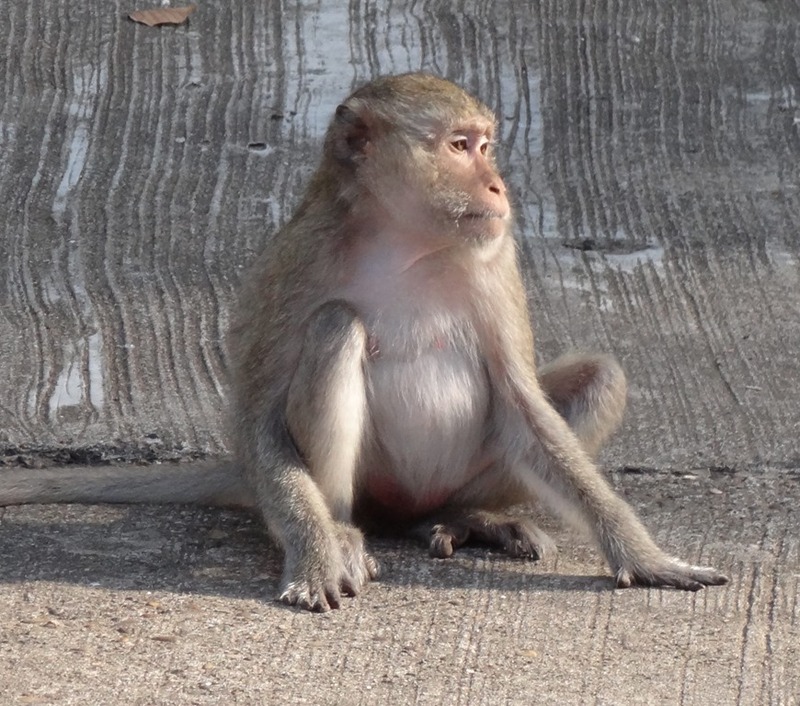 Pregnancies are all too common among the population of long-tailed macaques in Don Chao Poo Forest, Phana. But today I spotted a young female whose pregnancy we have been waiting for. She is the monkey with a severe curvature of the spine that I mentioned HERE. As I mentioned in that post there are one or two other females with a similar condition, though less severe. What we are hoping to find out is whether this female will produce offspring with or without the condition. We shall have to wait and see. 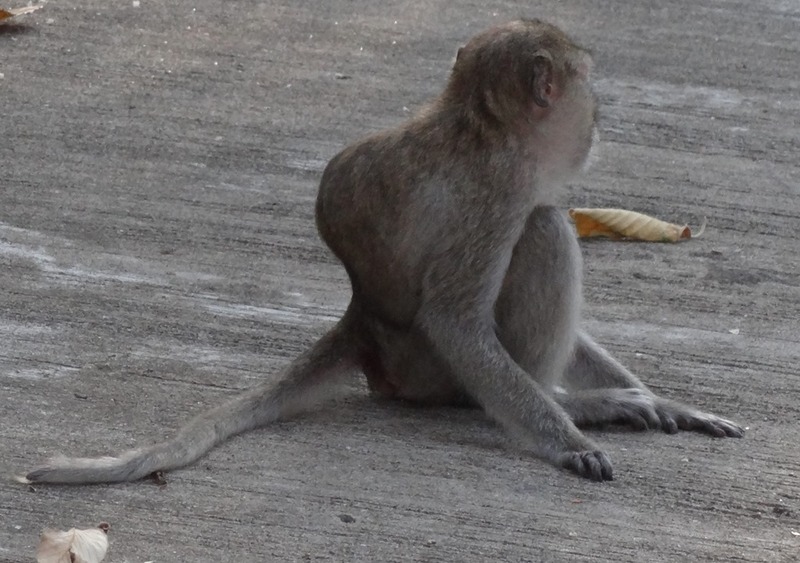 This entry was posted in Long-tailed Macaques, Macaca Fascicularis, Macaques, Monkeys, Research and tagged curvature of spine in monkeys, Long-tailed Macaques, Macaca Fascicularis, Macaques, monkey forest, pregnant monkeys. Bookmark the permalink.